SAP Sales Cloud allows to automate the producer management to compliance profiles, changing roles, and relationships. It leverages one source of accurate up-to-date information including single producer identifiers, book of business management, continuing education records, reduces manual data entry and connect with all the data sources to manage compliance. Work for CallidusCloud Producer Pro? Learning about CallidusCloud Producer Pro? What Other Finance & Insurance solution do you use? Salesforce Financial Services Cloud provides integrated sales, service and marketing solutions that break down silos and help create a cohesive, personalized customer experience across all departments, and through all channels of communication. HomeBudget is an expense tracker designed to help you budget, track and possibly control your monthly expenses at home. HomeBudget provides an integrated set of features to help you manage your expenses and cash flow. Named the top choice of financial planning software for eight straight years, according to Financial Planning Magazine's annual survey. Why? We make financial planning engaging for the client. Riskalyze is transforming the industry by empowering investment advisors to capture a quantitative measurement of client risk tolerance, and use that data to win new clients, capture and meet expectations and quantify suitability. Create estimates, send invoices, manage projects, and record payments from your iPad, iPhone, Android, and the web. With Simple, you get a stylish Simple Visa Card, no surprise fees, and powerful budgeting and savings tools built right into your account all accessible via web, iPhone, and Android. Firm58 offers a scalable and integrated platform for capital markets firms that protects revenue by optimizing post-trade processes. The fi360 Toolkit simplifies your processes to meet industry best practices and fiduciary principles. It delivers reports that clients will use and understand. Back office features allow for firm-wide views of investments. Smart RIA software with our proprietary Advisor Alert technology combines back office efficiencies with Federal and State compliance to offer an all-in-one RIA management platform that helps you to remain audit ready and manage your business while saving time and money. * We monitor all CallidusCloud Producer Pro reviews to prevent fraudulent reviews and keep review quality high. We do not post reviews by company employees or direct competitors. Validated reviews require the user to submit a screenshot of the product containing their user ID, in order to verify a user is an actual user of the product. Hi there! 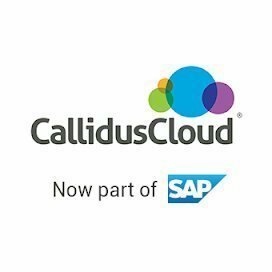 Are you looking to implement a solution like CallidusCloud Producer Pro?